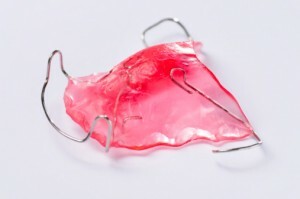 Is Your Retainer Retaining More Than Your Teeth? Our mouths are full all kinds of interesting little organisms. It’s sort of like a mini rainforest in there –warm, wet, and home to more than 600 different species of bacteria, viruses, fungi, and even protozoa. A few help promote good oral health, some do you absolutely no harm, and others meet their fate in saliva or your belly. Most of us don’t give mouth germs a second thought since we brush twice a day, floss nightly, and attend routine preventive dental visits every six months (RIGHT?!). But if you wear a retainer, clear aligner, or bite appliance, you may need to take extra precautions to prevent tiny invaders from taking over. Researchers have found that Candida (a type of yeast) and Staphylococcus, both potential illness-causing microbes, are present on 50% of all retainers. YIKES! Continue reading Is Your Retainer Retaining More Than Your Teeth?